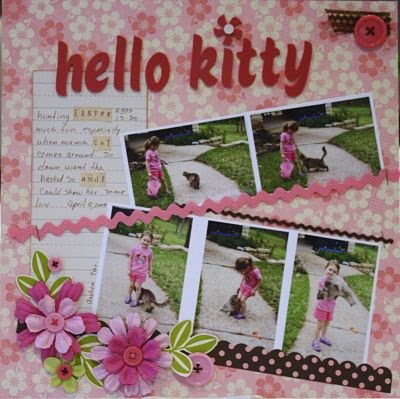 I have really had fun scrapbooking these past few days. We had our granddaughter over Easter and got some really cute photos!! You have to be tricky with her. When shes done -shes done. These two layouts were done with October Afternoon /Day Dream and Detours. This is one of my favorite paper packs. I love the vintage look of it so much. I always want to grab this paper pack! I'm on the look out for old trims, ribbons and embellishments to use on my layouts.. So much fun to have the real "McCoy". Hope you have a great day and thanks for stopping by!!! 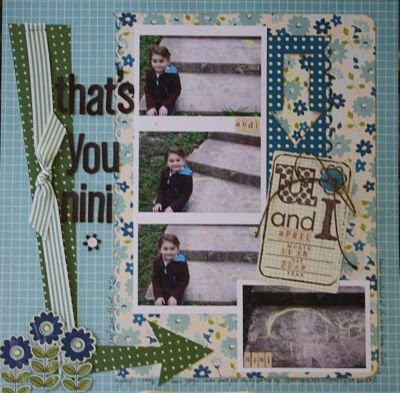 What fun layouts!!! I just love OA!!! Love your LO's! btw, you won a pin cushion! I just need you mailing addy.